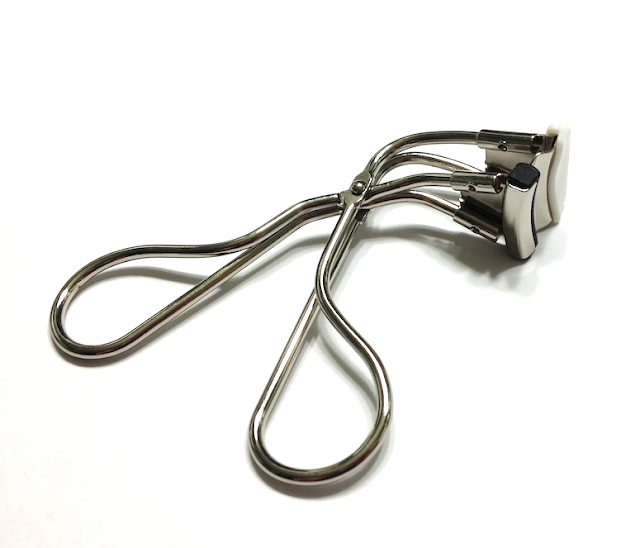 Shu Uemura just came out with a new eyelash curler, the New Generation Eyelash S Curler - and this little guy is AWESOME, especially if you a) have smaller eyes, b) only need to curl a portion of your lashes, or c) are curling someone else's eyelashes. The New Generation Curler is about half the width of a regular curler, and has an innovative design. Instead of fitting your lashes through the open portion of a regular curler, and applying pressure with your eyes open (and trying not to panic that you've somehow squeezed your lid or eyeball at the same time), you curl your lashes with your eyes closed. 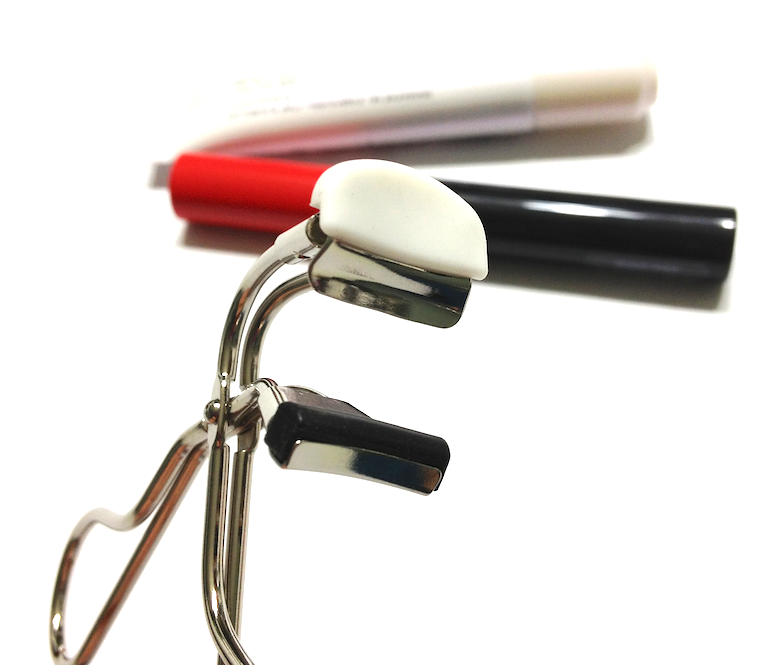 The white pad at the top rests on your closed lid, so that when you clamp down you know you are only doing so on your lashes. I do find it takes a bit of practice, as you have to retrain yourself to curl with one eye closed. If you're a makeup artist, this is an extremely handy tool to have in your kit, for those clients who are wary about metal implements coming at their eyes. The narrow design is also fantastic for small eyes and short lashes, which may otherwise have trouble fitting into the average eyelash curler. Since you are covering less lash with each clamp, the downside is it does take a bit longer to curl your full fringe. And doesn't it kinda look like a wee little Aliens baby? A well. It's a darn cute little chest-buster. Shu Uemura also has a few other new things in their catalogue: the Tsuya Infusing Eye Concentrate and the Tokyo Lash Mascara. The Tsuya Infusing Eye Concentrate contains various anti-aging ingredients to combat drooping and darkness - what Shu calls "small eye syndrome" - but is also supposed to provide an optical lifting effect and act in some ways like a primer for eyeshadow payoff. I don't know about this "small eye" business, but I did see a smoothing and tightening of the skin directly under my eyes and over my eyelid. Not to the point of fooling anyone into thinking I had an eye-lift, but enough to give me a little cover for the four hours of sleep I've been averaging lately. I appreciate that this is an eye treatment that you can apply directly to the eyelid, since the majority are too greasy to use there. As an eye primer, I can't say it compares to something like the Nars or Urban Decay primers, but it does help eyeshadow adhere better than it does to a bare eyelid, and it also worked well to minimize texture under concealer. 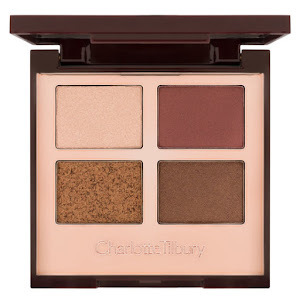 I think if you are more interested in the skincare benefits but appreciate the benefit of smoother canvas for your eyeshadows, then this might answer your needs. At 70$, you would certainly be paying for the double-duty. 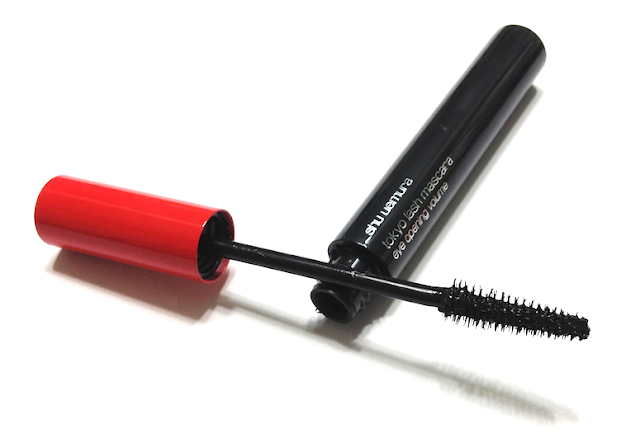 Tokyo Lash Mascara is a very, very black mascara. It has an almost matte finish, so it absorbs all the light and looks incredibly sooty. The effect can be quite dramatic. 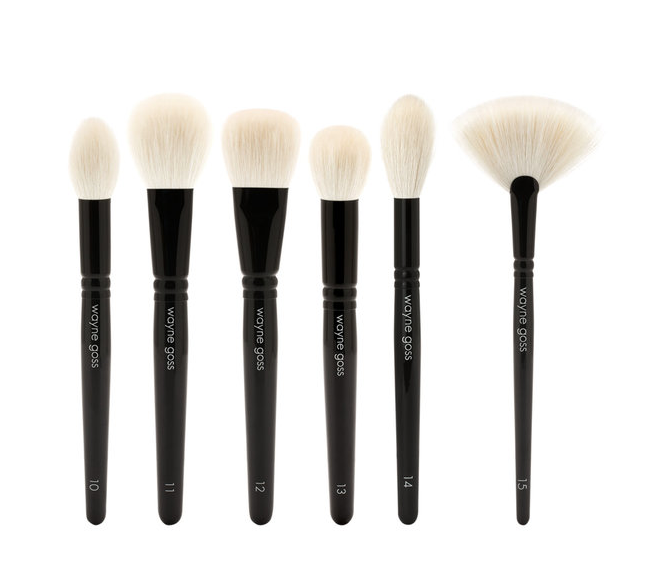 It has a malleable texture, so my lashes remained soft and pliable to the touch, yet they held a curl beautifully. It reminds me in some ways of the MUFE Smoky Lash. 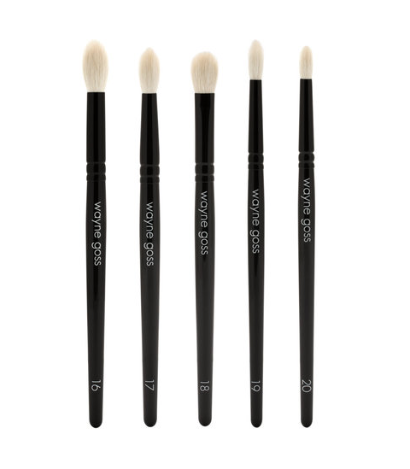 The brush has criss-cross bristles that catch lashes, and tapers down slightly to get those smaller lashes at the inner corner. The bristles are spaced far enough apart that you can build volume easily, especially if you have sparser lashes. Mine are wispy, which means that a mascara like this tends to clump on me, especially if I use my usual "wiggle" application. I had a cleaner application if I just brushed the wand through without moving it horizontally through my lashes. With one coat, I had good length and volume, and great curl. With multiple coats, the volume is intense, but you do risk clumping if you share my lash type. The Tokyo Lash also lasted really well on me, with no smudging or flaking throughout the day. One coat on the left eye. Pros: Curler answers the needs of the dainty-eyed and implement-wary. Eye Concentrate has a smoothing and brightening effect, a mild primer qualities. Mascara gives extra-dark, full, curl-friendly lashes with a soft-texture finish and intense fullness when applied generously. Con: Lashes can take a bit longer to curl. Eye concentrate is pricy for relatively moderate results. Mascara can look clumpy on finer lashes when not brushed through vertically. Have you guys tried any of these? What do you think of the funky new curler? I need to try this curler! The only other curler that comes closest to fitting my eyes is the Shiseido and even that's a little bit too big. It's so worth a try! Hmm, the curler sounds really interesting; although truth be told, I don't remember the last time I curled my lashes. But I do love me a good gimmick! That's because your lashes are ridiculously gorgeous and curly. Damn you. LOL! I see the little Alien tyke -- totally! This lash curler looks pretty interesting & it's been a while since these gizmos had any design upgrade; my only concern is if it's meant to be used against a closed eye, then you can't use it once you've already applied your makeup, or risk smudging all your efforts and/or dirtying the lash curler pad. That cream sounds pricey, but if it does the trick, then definitely worth looking into! As to that mascara, I can't believe that you're wearing only 1 coat in the pic -- wow! It's pretty amazing! Your blog is really informative and i really appreciate your work. 12 Days of Beauty Giveaway!